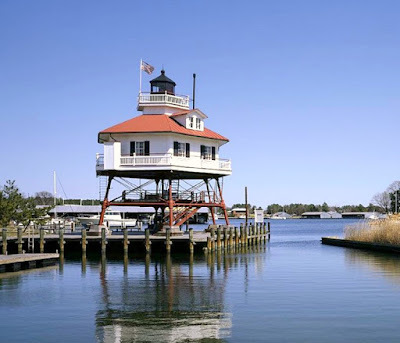 The Drum Point Lighthouse was built in 1833 and was originally located off Drum Point at the mouth of the Patuxent River in the Chesapeake Bay. The lighthouse is one of three surviving Chesapeake Bay screw-pile lighthouses. The light stands 46 feet tall and was first automated in 1960. 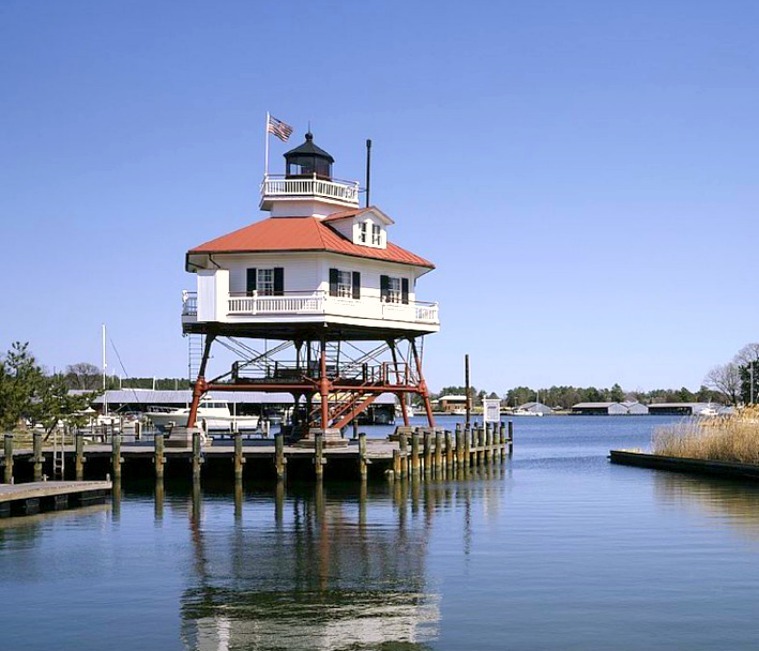 The Calvert County Historical Society purchased the lighthouse in 1974 and had it barged to its current location at the Calvert Marine Museum in Solomons, Maryland. It then underwent major restoration and was rededicated in 1978 as an exhibit at the museum. It features a screw-pile foundation and is mainly made out of cast iron and wood. The tower is done in a hexagonal house shape. The original lens was a fourth-order Frensel lens with a range of 12 nautical miles. It was completely deactivated in 1962. When planing a trip you'll want to visit the Calvert Marine Museum which offers a wide range of activities for you to enjoy. There is a museum with exhibits, picnic grounds, marsh walks, an outdoor river otters exhibit, woodcarving shop, the Drum Point Lighthouse and the Wm. B. Tennison boat that offers visitors 1-hour tours of the Solomons waterfront. You can learn all about the Calvert Marine Museum by visiting their website online. They are open year-round, closed on major holidays. If you're planning a weekend getaway to the area, you'll find lodging, restaurants and other attractions nearby.